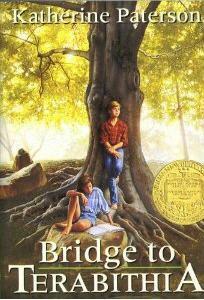 Was this the first book that made me cry? No, I don’t think so but it was the first book that I read that didn’t have a happy resolved ending. The loss has stuck with me even as an adult. Is it important as a child to read books that stretch your emotions? Definitely. I don’t dislike books that make me sad but I don’t go to the bookstore or library in search of them. This book is a child’s level tale of life and everyone should read it at least once.